Ok, so yes, I know the gender. Hooray hooray! 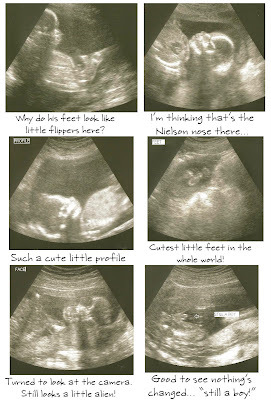 If you don't know by now, then you're not my Facebook friend (ultrasound pics and the announcement are posted there) and probably just not my friend. Just kidding. Kinda. I'm not ready to move onto that subject just yet. I have to cover the big Vacay!! So here we go. I'll run you through day by day and I'm sorry the embedded pics are pretty impossible to see, but if you click on them they get bigger and I think if you click again they magnify and you can see them in real size. Ya know, if you're interested. So we set out from LA for our 7-day cruise... it was super fun! 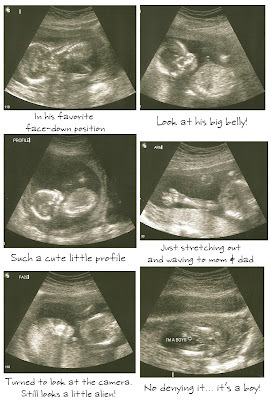 It's hard to come back (but I was willing, since we had our BIG ultrasound!! But... I digress). Day 1 - Embarkation, pretty uneventful. Just explored the ship, ate some food, had to do an emergency drill (which we never had to apply to real life, THANK GOODNESS! ), watched a show in the auditorium, and probably ate more food. Chocolate ice cream? Yeah, for some reason the baby wanted that every night. Who am I to say no?? Day 2 - At Sea all day. Another day of boat exploration, hitting up the gym (I walk/jogged 3 miles! A real accomplishment since the rocking boat makes you really have to work to stay in the middle of the treadmill), laying in the sun, eating lots of food (and yes, ice cream), going to more shows, and watching movies. Good day. 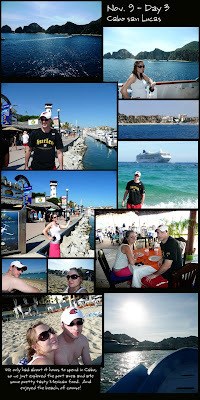 Day 3 - Cabo san Lucas. Our first stop. We only had about 4-5 hours here so we didn't go far from the boat (you can see it's just out on the water from us). We shopped vendors, walked the boardwalk, ate some pretty tasty Mexican food, and got our tan on. Day 4 - Mazatlan. Again, we only had like 5-6 hours here so we didn't get TOO adventurous. However we did take a taxi from the port to the shopping districts which was quite the eye-opener as we drove through the city. Wow. Talk about poverty and a run-down area! Houses that are just falling apart and look like they must be vacant would have curtains and clothes lines out front. Every building and every store looked dingy and like it could crumble at any moment. Pretty nuts. Even the "Gold District" where the shopping and restaurants are supposed to be wasn't much to see. BUT, the food in Mazatlan was a-m-a-z-i-n-g! Oh my gosh. Mexican food is one of my fave cuisines, but since I've been back, I've had zero desire to eat it here. It's just not the same. I don't think I'll ever be able to go to a Mexican restaurant in the U.S. and not be disappointed, from now on. Mazatlan, you were worth the drive just for your quesadillas. And your enchiladas. And your beans, and your rice, and your guacamole. Oh my. The guacamole. Ok, you get the point. Day 5 - Puerto Vallarta. 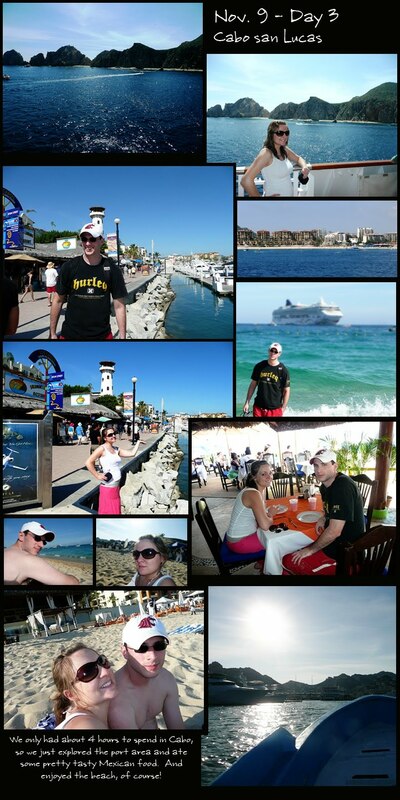 Puerto Vallarta was our favorite stop. We had the longest amount of time here, so maybe it's just because we got to see the most of it, but it was bar far the most beautiful (of what we saw). I was amazed the whole time at how I felt we were walking through a rain forest... with the giant trees, the humidity, the crazy cawing birds, and the lush green every where you looked. So pretty. So tropical. We started off by checking out a big flea market (that was embedded in the huge trees) and shopping all the same ol' crap we'd seen everywhere else. Bracelets, necklaces, sun dresses/swimsuit coverups (I bought two, and am wearing them in these pics... purple & black ones :), blankets, plates, etc. We walked the shopping district and I was awed by the gorgeous white buildings and the cobblestone roads. 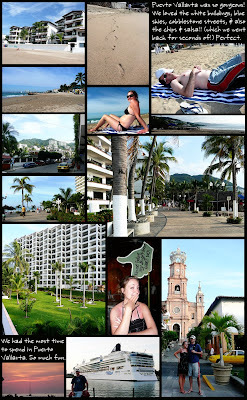 Loved Puerto Vallarta. We did lunch at Senor Frogs. They're everywhere down there and I think it's probably like eating at Red Robin here? Not too fancy, but we weren't disappointed in the food. The definite highlight was the chips and salsa, which I highly recommend. They brought all the ingredients out and made it right in front of you... Loved it!! After lunch, we continued exploring and then hit the beach to cool off in the warm yet refreshing ocean and work on our tan (or my burn, as you can see in some of the pics). After walking around for hours and working up another appetite, we hit up Senor Frogs again for chips and salsa round 2. It was that good. Day 6 - At sea. Apparently I didn't take many pictures this day. But I did manage to capture this sunset that night. 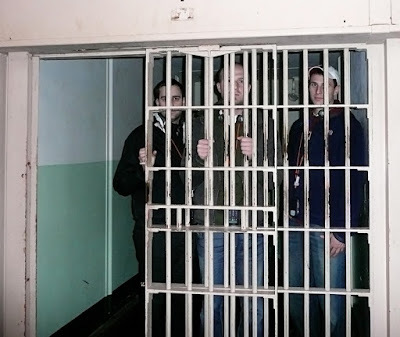 This day was spent sleeping in and resting our worn out legs from the 3 previous days of exploration. We played some cards, watched some movies, worked out, ate food, watched shows in the auditorium, and enjoyed this sunset. How romantical. Day 7 - At sea. Apparently I didn't take many pictures this day either... and it was our last day! I'm realizing I took like NO pictures of the boat, which was a sight to see in itself. These ships are amazing. Ours had 14 decks, like, 12 elevators, who knows how many restaurants, the list goes on and on. I'm saddened I don't have pictures to share, but if you're really curious I'm sure you could Google the "Norweigan Star" and get plenty to look at. There I feel better. 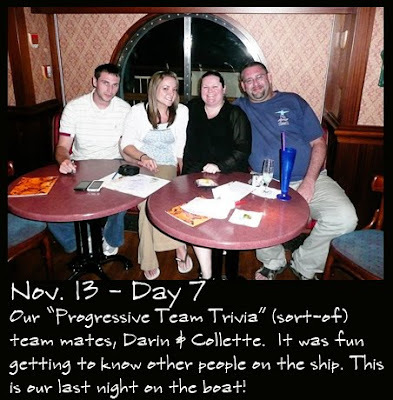 Our last night, after we played Trivia (see picture), we opted to eat in the fanciest restaurant on the boat. You have to actually pay to eat at these ones, but it was definitely worth it. Like, 10 oz. filet mignon worth it. And um, more chocolate ice cream. haha. However, this whole day was pretty windy and we couldn't spend much time on the upper decks (and my tan suffered from it), so we hunkered down in our cabin most the day trying not to feel sick. Sam actually took some motion sickness meds due to the rocking... I was a little anxious to get on land by the end of this night, but sad to see our vacation coming to an end. 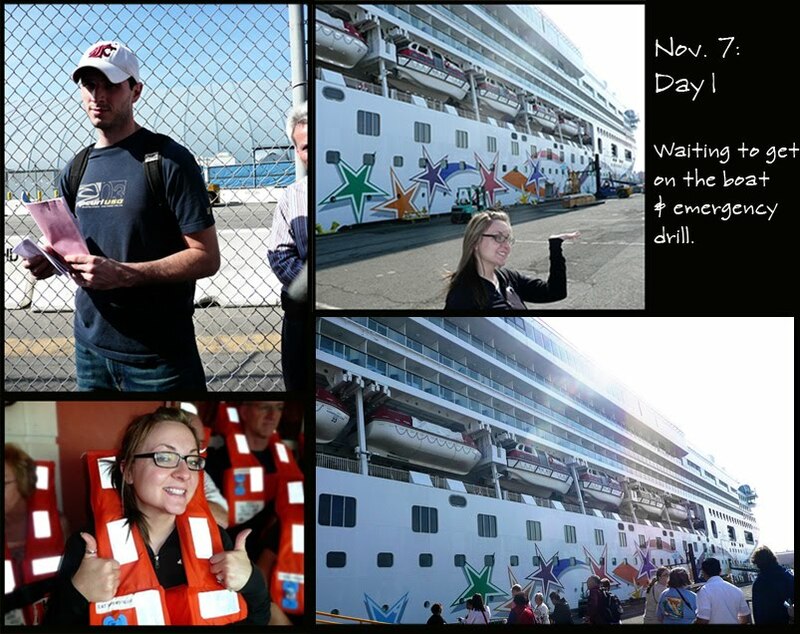 Day 8 - Disembarkation, LA, & HOME! Since we had a ton of time to kill before I flight took off at 6:30 pm, and we didn't feel like sitting in the airport for 8 hours, we decided to rent a car and explore LA. So much fun! 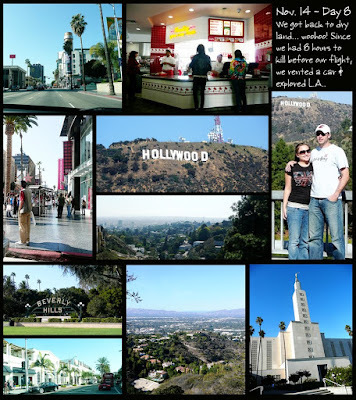 We drove down Hollywood drive, ate at In-N-Out Burger (mmmm!! ), drove through the Hollywood Hills to get a good glimpse of the famous "Hollywood" sign, drove through the ridiculously impressive neighborhood of Beverly Hills, drove down "Rodeo Drive" to try and catch a glimpse of a shopping celebrity (no luck... dangit) but saw way more paparazzi and tourists, and explored the grounds of the LA Temple. A total bonus to tag on to the end of our vacation!! So there you have it! 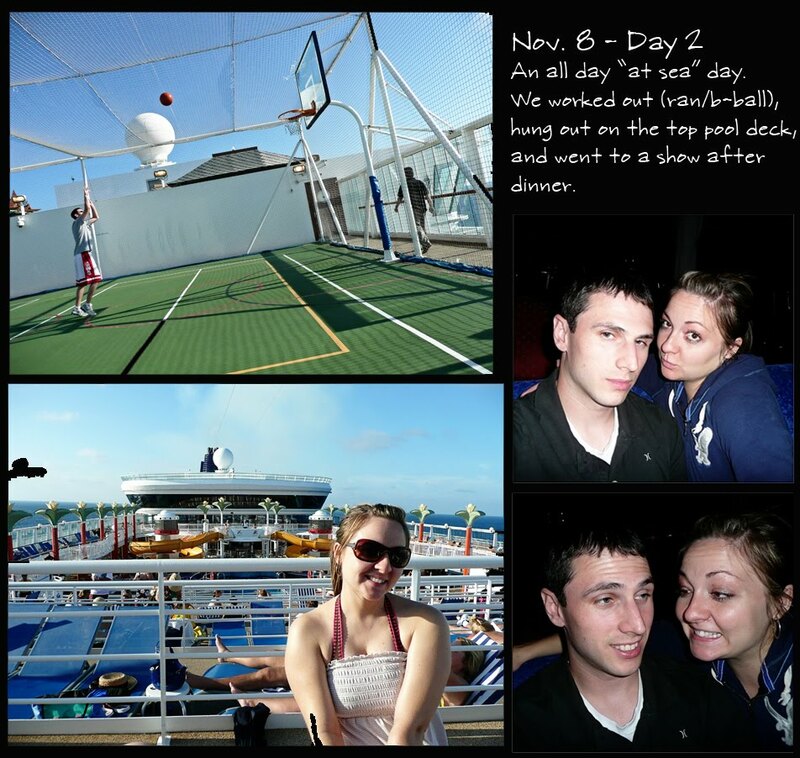 A run down of the crazy fun relaxing and hectic week. Does that make sense? We got home Saturday night at 1:30 am and just crashed. I'm not sure I've ever seen Sam that tired and I still don't think he's recovered. So I gotta make this quick. It's late, I'm exhausted, & we have our BIG ultrasound tomorrow morning at 9:30, so I'm eager to go to bed and lay there wide awake with anticipation! Seriously, I don't know how I'm going to sleep tonight. So we got back from vacation Saturday night at 1:30 am. It was perfect! I always get nervous before big vacations because I start thinking about what could go wrong... what if we lose our passports? What if we can't make it back to the ship at one of the stops and we get left behind in MEXICO? How are we getting from the airport to the cruise ship terminals? Seriously, my brain reels with how these things will be dealt with all the way up to the trip, and all the way through. Despite this craziness, everything was just fine. The whole thing went smoothly, no lost passports, no missed flights or ships, no vital toiletries left at home. It was AMAZING. But. This is not that update. I am working on an efficient way to post some trip pictures and it's taking some time, so today is merely a weekly prego update. 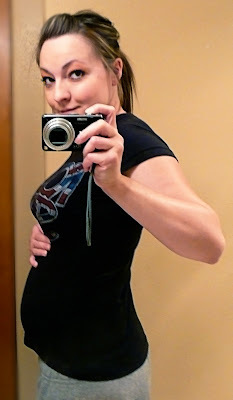 Here is my 17 week shot: There was definite growth in the last two weeks. Trust me, something's in there. I'm definitely feeling small movements, but I don't think I've felt any big kicks yet. 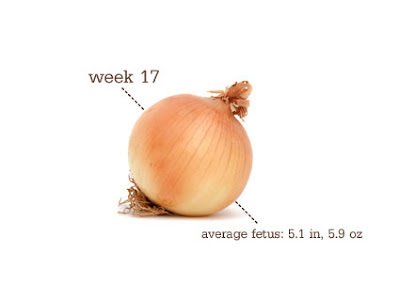 Just a little onion-sized Baby N. flipping and swimming around in the comfort of my belly. I describe it as a worm wriggling around in Jell-o. CRAZY. Since tomorrow-day will be full of a doctor's appointment and the aftermath of that, and tomorrow-night is booked for "New Moon", I probably won't be able to blog until Saturday. Expect a big post then! Goodnight... and wish us luck tomorrow!! 15 Weeks & a Vacay! 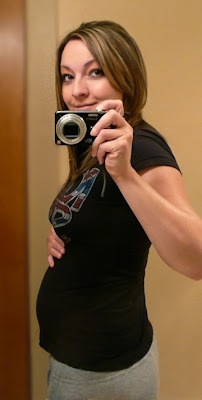 Yes, yesterday marked 15 weeks prego! Woohoo... only 25 more to go. I think there's been some definite growth in the belly department this week although the pic doesn't quite capture it as much. I swear there's been a few times I've felt movement in there, but really, I never really know what is going on in there so it could be anything. But there have been some very distinct "slithering" feelings and little "pops" and such that I can't help but wonder if it's Baby N. I pretty much have decided that it is, and it makes me pretty dang happy. 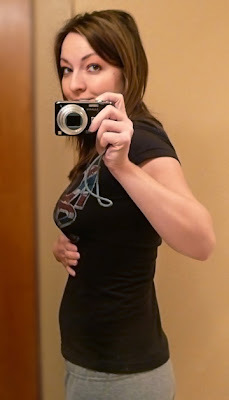 Here is my 15 week pic: So Sam and I have a pretty huge vacation coming up soon and I am SO freakin' excited. Like, beyond excited that using exclamation marks to describe it just cheapens the whole feeling. So yes, let me assure you I am ecstatic. I haven't really been thinking a ton about it because dwelling on an upcoming vacay to me just makes it come that much slower, but now that it is just around the corner I am starting to feel so unprepared and overwhelmed with how much I need to do before we go! Do I have enough summer clothes that will fit? Where the heck is my passport? I need to do like 14 loads of laundry, some toiletry shopping, picking up around the house, and throwing away of everything perishable in our fridge. I suppose these are good problems to have though, and don't get me wrong... I'm not complaining. I love this feeling! We have people watching over our house/house sitting so at least that's taken care of. I won't be able to post my 16 week update next week (oh darn! I'm sure many of you are going to have to mark that off your calendar for next week... shoot!) 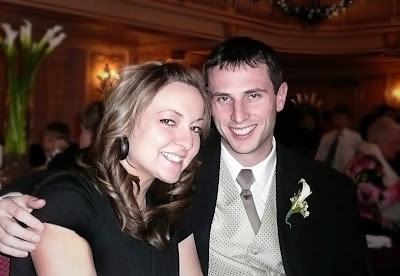 but I hope to post lots of pictures of a tan prego Amy in two weeks :) So I'll make up for it, I promise. I don't want anyone to feel cheated out there! So on top of being baby obsessed at the moment, I'm also feeling a bit puppy-hungry. I have ALWAYS been a dog person my whole life, and not having a little mutt of some sort running around the house has been hard for me. Well, at times. It's also really nice and the freedom that comes from being pet-free is pretty liberating too. But I think the perks of pets mostly outweigh the negatives. Luckily, we have some friends that have the CUTEST little English Bulldog puppy and we often get to puppy-sit. Last weekend "Duke" stayed with us and reminded me why I could probably go puppy-free a little bit longer. That guy was a TERROR. He's lucky he was made so cute because I'm not sure how long he would last otherwise. I got a small taste of what having a toddler will be like because this little guy needed CONSTANT attention. 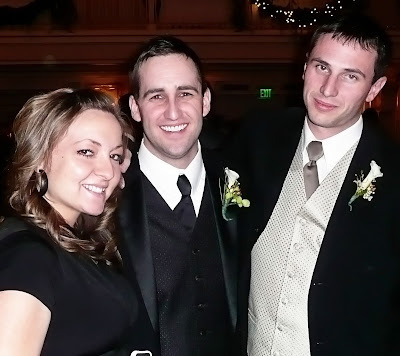 If he wasn't within eye sight, he was definitely up to something. And even when he was within eye sight, he was up to something. He even cried off and on all night, waking Sam and I up at least 3 times. Am I ready for parenthood?? Anyways, we enjoyed it but I definitely got my fill of puppy-dom for a while. 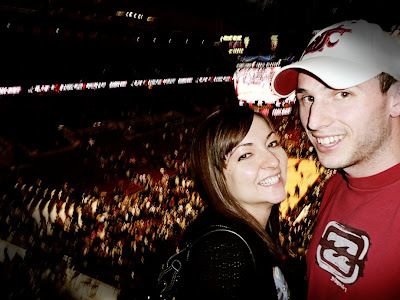 I wanted to blog about this a while back but got distracted and now seemed like the perfect time to talk about something other than pregnancy. So folks, I'm signing off for a week or so and I will post pictures upon our return! When we get back, there will only be 5 more days until we find out what Baby N. is (hopefully it's a boy or girl) so leave your votes in the meantime... until then, adios amigos! So yesterday makes 14 weeks! Yay! 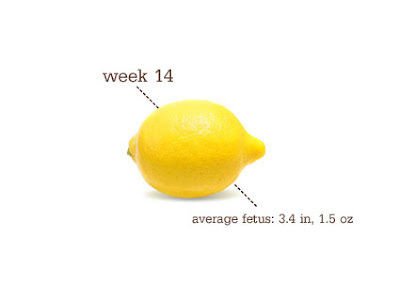 Baby N. is the size of a lemon and weighs an ounce and a half! 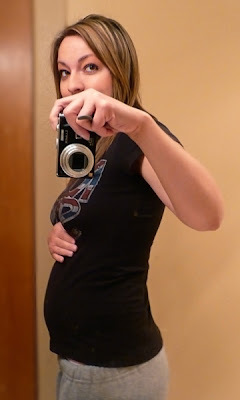 I feel like my belly has grown by leaps and bounds this week. I'm sure it's not correlated to the abundance of Halloween candy that has been available to me and I'm sure today's belly pic wasn't at all influenced by last night's dinner at Olive Garden. Nah, it's all baby. Anyways, the appointment went great and we got to hear Baby N.'s heartbeat for the 3rd time on doppler. Love that! I even recorded 10 seconds of it on my phone and have listened to it at least 30 times since then. Ok, maybe like... 40. Who's counting? Things went well and I decided to finally out myself on Facebook, so it's official. The whole world knows! Three cheers for complete exposure! 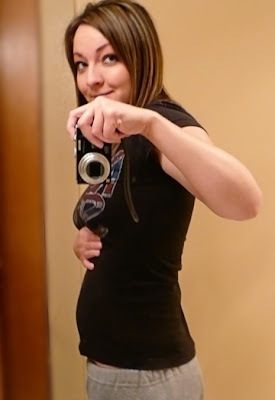 Here is this week's 14-week Belly Shot: See? Definite improvement. (There are actually clicky buttons where you leave your vote. I know it's kinda hidden by the pale font but the days are a tickin away and I need this scientific approach to tell me what I'm having.) Looks like so far, ya'll are pullin for a girl! I think I will be posting later this week in non-baby related news just so this doesn't completely become a pregnancy blog. There are other things going on in our life. In fact, there is something very BIG coming up in our life in just 9 days!! Look for that announcement soon. 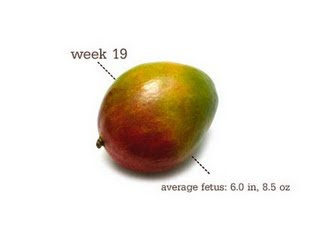 So I am officially 13 weeks and this is officially the first post of many weekly posts to come. 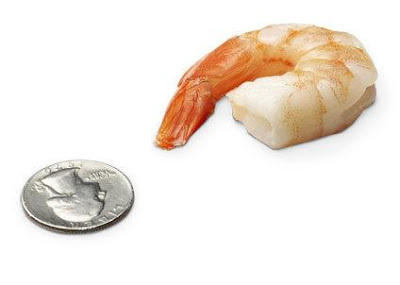 At 13 weeks, the baby is about the size of a medium shrimp... about 3 inches and weighs almost an ounce. 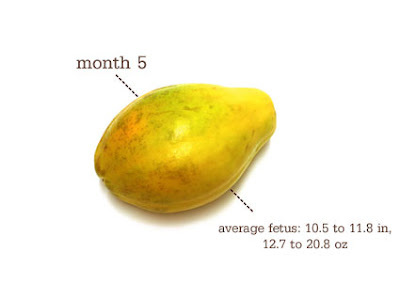 I am SO close to the 2nd trimester! 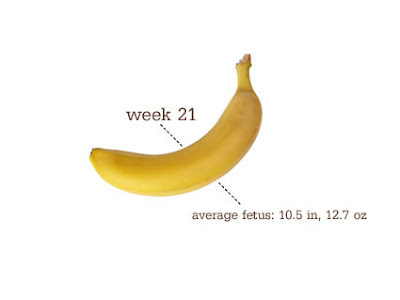 Although I like to say I am in the 2nd, most people say it's not really until 13w4d when you're really in the next tri. My iPhone app has said I'm in the 2nd tri since I hit 12 weeks though, so that was kinda exciting to see when I loaded up my phone. 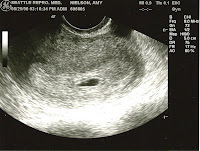 In other news, I have officially scheduled the BIG ULTRASOUND!! Yay! It's November 20th at 9:15 am. I can HARDLY wait!! We are super excited. I'm gonna post a poll and y'all can cast your votes for what you think Baby N is. I honestly have no idea and can't wait to find out so we can start shopping and planning and pinning down names. Although, I know we have plenty of time to do these things, it just makes it feel so much more real. That's first thing in the morning when I'm at my best. Get some food in that belly and the thing doubles... so weird! 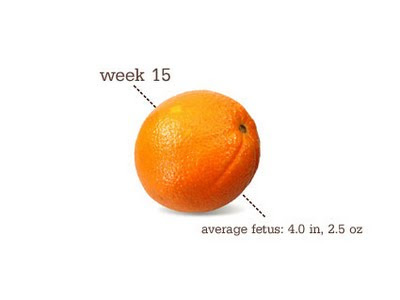 Even though that little baby is the size of a shrimp, having a uterus that's bigger than a grapefruit has got to count for something! Welp, that's it for now! Short and sweet and more frequent... I promise! Hello Cyberspace! It's true. All those rumors you've heard the internet bloggers speculate about... I'm leggo-my-prego! Knocked up! With Child! 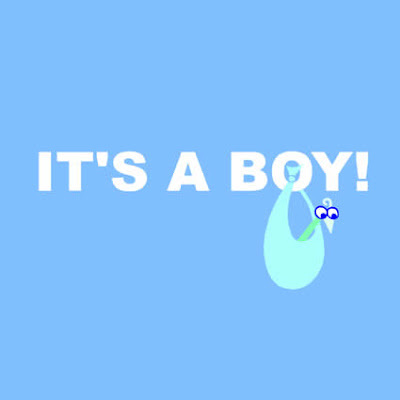 Got a bun-in-the-oven! A pea in the pod! Etc, etc... you get the point. How did this happen you ask? Really...? Dumb question. Ok, not so dumb... we didn't think it was possible either and yes, I was having problems in the normal-female-reproductive-functioning-area (aka: very irregular cycles. TMI? Maybe). Then one day at a check up with a reproductive specialist (think back to my "mystery health problems" post) where we were like, "Hey doctor, why don't I have periods like a real girl?" He was all like, "I don't know... let's do an ultrasound and take a look!" Crazy right? No, the black part isn't the baby. That TEENY TINY little white speck in that black part is the baby. Or really, more like a ball o' cells. The black part is my ute. Yeah, this time it actually kinda looked like something... a little monkey, I think. I thought after seeing that little heartbeat (beating at 140 bpm) all nerves would settle and this would start to feel real. Nope. I left the doctor's office feeling pretty good, but by the next day I still wasn't convinced. 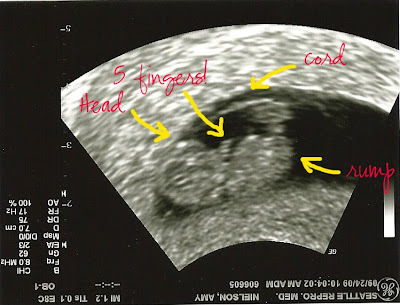 Luckily, we had another appointment set up for two weeks later (9 weeks) and he said we should see some baby movement. Yet again, the longest two weeks of my life. September 24 DID come. And yes, there WAS movement!! Yay!! Not only did we see movement, but we got to see the heart flicker again, even in such detail that we could watch all 4 chambers of the heart move. 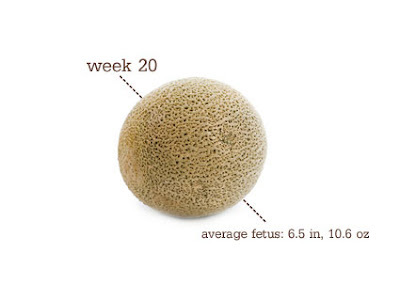 Pretty crazy that a teeny little 9 week grape sized thing could do that. (Btw, the pic at the top of this post is from that appt.) We also saw all 5 fingers on one hand and watched the hands wave and the feet kick. Pretty cool. Sitting in that doctor's office I thought... "ok, I can relax. 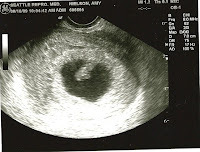 The baby moves, the heart functions well, the heartbeat was 175 bpm... things are looking good. I'll never worry again." Yeah freakin' right. I've heard the heartbeat on doppler twice since that last appointment Sept. 24 and am STILL on pins and needles for my next doctor appointment next Wednesday. Is that normal? Yup. That's what a 12 week pregnant Amy Wang looks like. Stay tuned for tomorrow's post. It might include a 13 week shot. Well folks, that's enough for one night. 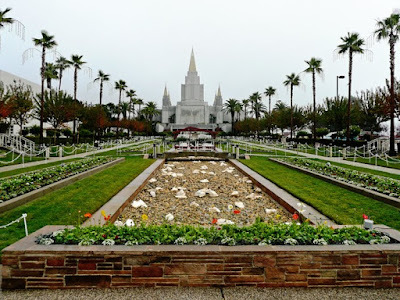 Now that I've outted myself, I promise I will blog more (I know you guys have given up on my empty promises) but really, I was avoiding blogging because with news this big since August, I was afraid to blog since I knew it would somehow spill out. These little fingers can be mischievous. Oh, and please keep all pregnancy/delivery horror stories out for now. I'd love to hear them in 6 months. Sweet. Ok, I'm gonna give this another shot. I loved blogging. Loved it. But it takes time! And I know all you mothers of small children with busy schedules are like, what?? You don't have time?? Are you crazy? Well, no. I'm not crazy and yes. I don't have time for everything. Who does? 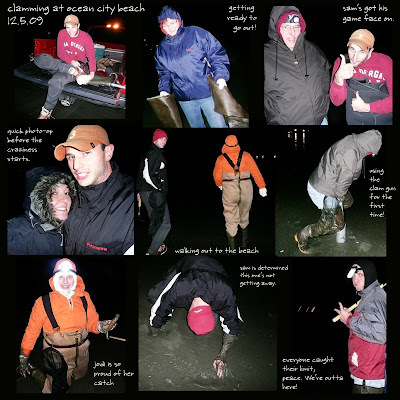 Lately I have taken up digital scrapbooking due to some not-so-gentle prodding by my sisters and mom. They have a vested interest in this hobby since they run a pretty successful online-scrapping business found at www.weedsandwildflowersdesign.com. You can find it here. So that has consumed a lot of my computer time. And everyone knows that when one thing gets added to your plate, something else falls off. Well, for the past 6 months, that was blogging. And since I'm blogging today guess what doesn't get done? My hair? Maybe. The clean dishes put away? Hmmm, maybe. Some digital scrapping? Definitely. Ah well, such is life. 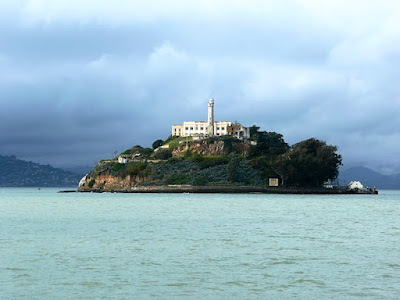 So, what shall the topic of my big triumphant return to blogging be about? An update of the last 6 months?? Nope. Too much work. Let's pick up right at today and go on from there. Updating the events of my last few months is too time consuming and is one of the reasons why I have avoided blogging for so long! Oh, but yes, we did go to Australia. And YES, it was A-M-A-Z-I-N-G. Pictures have been posted on my facebook page for months so if you're not my FB friend I guess you'll just have to miss out on the pictures of Heaven-on-Earth-white-sandy-beaches-clear-blue-water-incredible-food-etc.-etc.-etc. Moving on. So, another thing that many of my friends and family already know is that I have been dealing with a little health issue for almost two years now, of which I'm not really gonna go into too many details about. Don't worry, it's nothing life-threatening and I think I'll probably make it. If you really wanna know what it is, just ask. Seriously. It's not embarrassing or anything, but still not something I want to post for the whole world to see. So. 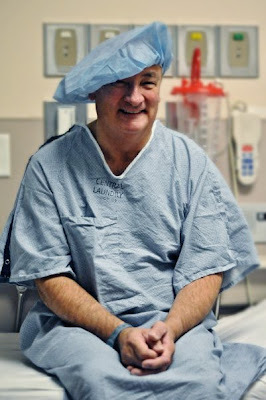 I have been playing around with different doctors and different treatments for a couple years now and each new avenue leads to something else. One doctor leads to the referral of another. Every. Single. Time. It's crazy because it just keeps getting more and more specialized with every referral. I mean, if you had hiccups for a week, I bet 7 referrals later you'd find yourself at a doctor who specializes in pre-menopausal-female-lung-abnoralities-who-were-born-in-the-month-of-July-and-like-to-sleep-in-a-curled-fetal-position. Trust me. There's a doctor for that. Since it's no secret that I love to work out and watch what I eat in the form of tracking calories, my most recent doctor-specialist sent me to a nutritionist just to make sure I was getting sufficient dietary intake and that I wasn't overdoing the workouts while underdoing the eating. And although the nutritionist determined that I was definitely eating enough (duh! I love food too much to restrict it that much!) she concluded that I also ate too much junk. Oops. And that I should actually lose a few pounds. Of fat. Yikes. AND NOW, THIS BRINGS ME TO THE TOPIC OF TODAY'S POST!!! FINALLY!! AMY'S NEW DIET. DOCTOR'S ORDERS. I've been getting lots of questions from people about what this lady said I should be doing. Well, she definitely did a number on my diet, that's for sure. And I'm going to be following this strictly for one month to see how things feel. She even banned some of the things I thought were "healthy"!! Goodbye Lean Cuisines. Goodbye Clif Bars. I will surely miss you. And goodbye Kashi-Go Lean! Crunch.... hello Kashi-Go Lean! (I will miss you "Crunch"!) Yes, those are two seperate cereals. Oh, and goodbye calorie counting, hello portion counting! This way of eating is very close to a South Beach Diet-esque approach, and even similar to the new and improved Atkins Diet. Very low grains, and absolutely under no circumstances would you allow simple carbs! No, no, no. No! Guess what that means? NO SUGAR!! No sugary snacks, no junky chocolate, no ice cream, no cookies, no brownies. No, no, no. No! Again. She thinks my body is pretty intolerant to grains and starches in high amounts. And I'll admit. I was eating lots of cereal, pretzels, crackers, breads, granola bars, trail mixes, and ummmmm... sugars. So this is sure to do a number on the ol' system. Wow, this post is getting really long. Is anyone reading anymore? Maybe I will stop here and then post what the diet even consists of later. What I CAN eat. Etc. Etc. Yup. I'll do that. Leave ya'll in suspense! How much fun is that? ?